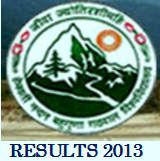 Hemwanti Nandan Bahuguna Garhwal University Uttarakhand has been declared the Results of B.Sc (Bachelor of Science) 1st year of the session 2012-13.Today on 16th July 2013 the University has declared the result for some collages. There are so many of the students appeared in the examination every year, and after exams all are waiting for their results for their admission in next year of graduations. So now all the students can easily check their results online. Here below I am giving a link to get your result online. So just click on the given link and fill you roll number or registration no. on it and click to submit. Then you will get your result. But if you got any problems like if it shows no data, then don’t worry about it. The university is updating all the collages results so it may take some time, and after some days you will definitely get your results. So I wish you all the best for your results and your brighter future. Click here to check your results online. For more updates of results, exams and other related to Uttarakhand stay connected with our site or you may follow us by email. i am unable to open the official website of hnb why? what happened to the site as soon as poasible and if there is any alyernate for checking the result of the hnbgu bsc 1at year.